"This requires a fair amount of skill"
Singapore-based Virtuos is a studio that has already made quite a name for itself on Switch thanks to its superb ports of L.A. Noire, Dark Souls and Starlink – a trio of third-party efforts which have done much to enhance the library of Nintendo's hybrid system. 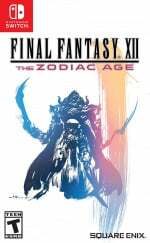 However, the company's next project could be seen a rather more daunting, given the stature of the franchise; Virtuos is currently hard at work bringing over Final Fantasy X | X-2 HD Remaster and (at a later date) Final Fantasy XII: The Zodiac Age to Switch. Keen to learn more about the process, we spoke to executive producer Lukas Codr and senior producer Fang Xiaoshu about the remasters, working on Switch and much more besides. 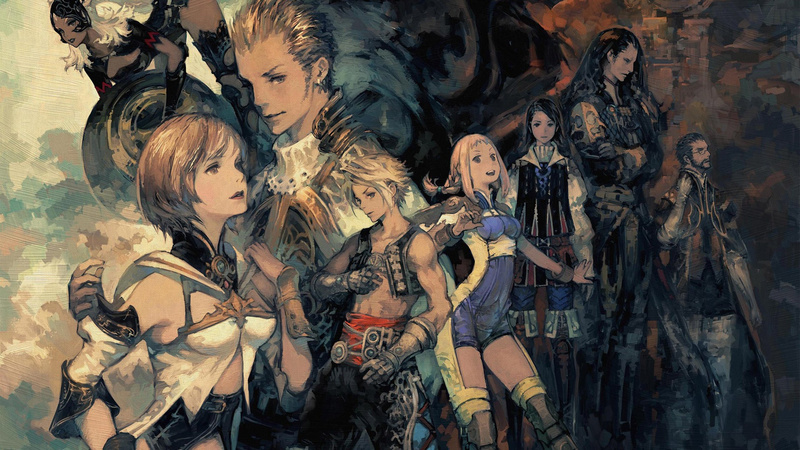 Nintendo Life: Can you tell us what led to you working on the Final Fantasy Remasters? Were you approached by Square Enix? We have a great relationship with Square Enix, having previously worked with the company on Final Fantasy Remasters for PS4 and PC. These games were big hits so it was only natural for us to be brought in to work on the Xbox One and Switch remasters, too. What has the response been like to existing PlayStation and PC remasters? The response has been great; we’ve had a lot of positive feedback from players and the media, so I think it’s why Square Enix approached us for the Xbox One and Switch remasters. When did discussions start regarding the Switch and Xbox One versions? This project got on our radar in the second half of 2017, so the team was up and running in December. For big franchises like Final Fantasy, it usually takes some time to get release dates aligned with the rest of the SKUs and other projects, so we usually put some flexibility into the schedule. We're talking about two very different consoles here; how hard has it been to scale the games for release on the Switch, given its unique portable nature? I would say it was quite technically challenging because to make Final Fantasy work on Switch, we needed to convert it to 32GB. So, the Switch version needed to be shrunk without impacting the performance. As this requires a fair amount of skill, we have a small team specifically to target these parts of the remaster. Did you have to tweak any element of the games in the process of porting them to new systems? Likewise, were there any ways in which you feel you improved the experience? For such a great franchise, the main goal is to bring the exact same experience as the original version to the player. So, we haven’t touched the core content of these games in order to keep the same flavour as before. However, some obvious legacy issues have been fixed during porting, including some UI logic and translation glitches. We’ve taken the “quick recovery” feature from PS Vita to Switch in order to take advantage of its touch screen. Finally, we’ve also integrated the “key mapping” system into both Xbox One and Switch versions in order to give more control flexibility to players around the globe. This is the first time we brought it to consoles (PS4/PSV don’t have it, only PC has such functionality). We believe these features and fixes can actually give a better experience to players than the previous remaster versions. Were there any lessons taken from Dark Souls and Starlink that came in handy with these games? Communication is always super important in this type of project. The key is to be fully transparent to the client and never hide any issues the team encounters, so that we have time to find good solutions together. We also had a well-experienced Japanese producer in charge of talking to the client, which was essential to bridge any cultural differences between Japanese and Western game development practices. Having such a person on site has proven extremely useful in those potentially tricky moments when we faced technical or production constraints. That was the last piece of the puzzle, next to things like technical feasibility reports, feature demos and so on. What lessons did you learn from having to port these games to two such different systems? Xbox has a unique “player profile” system, which requires title response to the changes of player profile status at any time when the game is running. Unfortunately, the original game could not be paused at any given moment, so we had to change some lower level code to make sure the engine can satisfy these platform requirements. For Nintendo Switch, the main challenge was the package size, as the previous raw data size could reach up to 50GB. This much data simply cannot fit on a single Switch game card, so we had to analyse and modify the data cooking pipeline and managed to fit the game on a 32GB card without any impact on visual quality or loading performance. Another tricky part is middleware. Some specific middlewares are no longer supported, so we had to remove them or replace them with our in-house libraries, which we have available for such situations. Would you say this was an easier task than Dark Souls and Starlink? Compared to Dark Souls, we can say the development was smoother in general. It was still a lot of work due to the sheer size of the games we were porting and all the different SKUs we had to prepare, but we had a very good understanding of the code. Moreover, many of the necessary performance optimisations were already present in the code. Just like with every project, we also had our share of issues and difficulties. 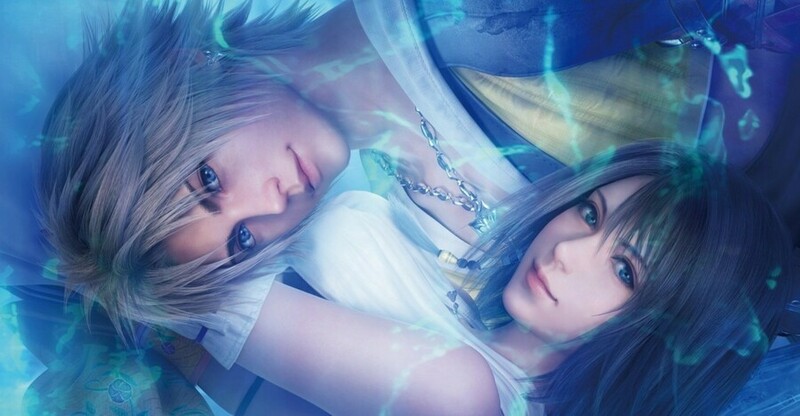 However, the team at Square Enix was very responsive, so we were able to solve them without too much hassle. Final Fantasy, Dark Souls and L.A. Noire are three massive properties – what's it like to be trusted with them? We always treat every client’s IP as if it was our own. It’s our bread and butter working with other companies’ IPs so we’re very comfortable with doing so. The key thing is good communication with the client, both in knowing exactly what they want and keeping them updated along the way. Not so long ago, the concept of a remaster was pretty unusual, but we've seen a sharp rise in this kind of project in recent years. Do you think this will continue, and if so, does that make a studio like Virtuos even more valuable to publishers? We're big fans of remasters and older games so it’s very exciting to see that IP owners want to bring them back, bigger and better, onto more powerful consoles. We think remasters will continue to be very popular in part from older generations playing the very same games when they were kids, with their own kids. We’ve found though that it’s not just remasters where studios are looking for support from companies like us. We’re working more in co-development of titles, and are increasingly designing entire levels for new games as we help studios to expand the scope of their games. His answer to the question of the response of the remasters on PC isnt true at all. There are several issues affecting both games that haven't been addressed since launch, some game-breaking, some trivial, but none really acceptable for porting over 10+ year old games. Man, I was already excited for these games, and learning that Virtuos is handling the ports makes me even more excited. I’ve played L.A. Noire, Dark Souls, and Starlink, and they’re all spectacular on the Switch. This was an interesting interview to understand a little bit more about the development of these games. To have worked with big name games such as Dark Souls and Final Fantasy, that must be a dream of any game designer as they are so iconic in the industry. Well done them. Personally I love having reamasters. Never enough time to finish every game in a systems lifecycle. So having the opportunity to replay games we missed (or loved) is wonderful for us gamers. It's Sony fault for wanting Censorship that publishers are starting to get smart and Switching (pun) to the right platform. 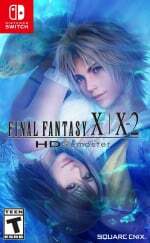 Got my Final Fantasy X/X-2 preordered and both will be on one cart instead of one on cart and one download only and arrives on April 15th or before for just $18 more than the US release price, thank you Nintendolife and Play Asia. This... THIS... is what I want to see more of on NL: actual interviews with devs and publishers, not just re-reported quotes from other gaming sites. Great interview, gives some insight into porting. @MisterDevil Guess he ordered the Japanese version from Play Asia. Great site! I've ordered from them before (I live in Sweden) . They have everything from retro to newer games. Hopefully Digital Foundry will check out these ports before I decide to buy them if it’s Virtuos doing them. Their Return to Arkham and Ezio Collection ports were full of weird decisions and bugs. Why for example is Arkham City on the Xbox One X locked to 45 frames per second? I'll be getting both X/X2 and XII. I have unfinished business with Yiazmat in XII (cuz my PS2 broke when I was still playing XII) and beating Penance again is going to be fun... except for dodging 200 lightning bolts. Why are PS2 games ending up being 50GB exactly? Well Final Fantasy X | X-2 HD ran on a VITA 5 years ago. So can't see that being an issue. so it doesn't matter which I choose? Since they got a jap version, an asian version, an american version, an european version and an australian one? So far I have everyone of the games they ported. Looks like I will continue that trend. @GrailUK oh nice and I've read somewhere that it has English sub too right? Pre-rendered cut scenes are also now rendered in HD instead of DVD quality. This all adds up to a huge size increase. Nintendolife did an article on it some time in the last week witch is where i heard about it and why i thanked them. @Dezzy They're not? These are not ports, they have updated and enhanced assets. New models, new meshes/textures, audio, etc. If you think they are straight up PS2 games, you are sorely mistake. Do you have any idea how remasters work? Of course not. This company must be significantly undercutting competitors like Panic Button on project costs (which goes without saying, considering they are based in Singapore). They are not afraid to irresponsibly sacrifice visual and audio quality to reduce file sizes. The lights of flashlights and headlights in L.A. Noire are literal 2D textures, a visual technique used to create the illusion of three dimensions without rendering extra 3D objects often seen in some Nintendo 64 games. The audio samples in Dark Souls Remastered are notably impacted and play at a guess-timated sample rate of ~38,000khz or less. The default control scheme of Dark Souls is a 1:1 copy of the controls from other consoles rather than an adaptation to work with the Switch button layout (not a huge issue, but needlessly lazy — a five year old can locate the code for and correctly map the inputs). The user starts the software using the A button and B to cancel on the Switch main menu, and then must use B to confirm every action and A to cancel in the game from that point forward (changing button mapping is possible, but will only affect in-game actions, and changes do not reflect when navigating menus, allowing the user to further lose track of which buttons do what). This is needlessly bad design, and the lack of even a post-release downloadable patch to make the game's controls flow with the console's button layout is especially bad for a game whose release was delayed by six months. The very best examples of their Switch work are merely just above standard, not due to any positive quality of the port job, but due to the inherent quality of the original game despite the port quality. This is a shame, as ports like DOOM, Warframe, and Wolfenstein II are stellar examples of how positive an impact the results of a good port can have on a Nintendo Switch game's performance. Virtuos has proven to be the 'budget' port company, which can be described as a negative or a positive considering that this is technically a good problem to have for the successor to the complicated Wii U, which received practically no ports at all. For anyone looking to bring their projects to the Nintendo Switch and do not have the internal resources to do it yourself, please give your business to Panic Button! They seemed to have contradicted themselves. They said porting to Switch was hard because they had to scale it back to 64GB, but later in the interview they said the original game was only 50GB and they managed to change it to 32GB without scaling it back. Does anyone know what they meant by their 64GB comment? @Megal0maniac yeah, Virtuos was responsible for the awful compressed audio in Dark Souls Remastered, while the game itself is a solid port the audio bring it down. Many media outlets Nintendo Life included neglected mentioning this glaring issue, it’s a shame that neither Bamco or Virtuous talk about it, even sound pack patch request via mail are simply ignored. It wasn’t an issue with the game card space in Dark Souls Renastered case, I’m using an HQ audio pack from the PC version which is only 20% compressed and the file is 760mb (by comparison the audio files on Switch are 80% compressed) the Dark Souls Remastered game card is 8gb, the whole game is 3.9 it would fit twice, so yeah something went terrible wrong with this port in the audio department, which id worse Bamco neglects to gix it. In that sense I’m quite disappointed with this interview, you have the chance to expose an issue with this previous port from this developer and help to avoid it happen again with their ports, Digital Foundry made an analysis of it. So this time they have a bigger game card to work on, but still will be some kind of compression in place, honestly will wait until reviews pop-ups, hopefully NL take notice of this and put more attention in analyzing sound quality, after all ports should be the most near to the original experience and sound is part of it too. @CurryPowderKeg79 Are both games available in English? If so, I would be interested in doing the same. Thanks. Well 3D models, UI and music tracks, take almost no extra space. High res textures might except as far as I was aware, they only redid a small amount of the textures, mostly for the main characters. @IPrino my post #11 at the top of the page has all the info. My apologies if i overlooked it. Thank you for the post i appreciate it. I will be following suit and getting them imported. Take care. Yea @ALinkttPresent I was exited to get the very first Switch game to be on the new 64gb carts witch Nintendo said would release this year. Then i kept on reading and got confused myself by what they were saying. I have been very weary of Virtuos ports since the Dark Souls Switch audio fuckup and will continue to do so. I'd advice everyone to do the same or at least wait until thorough reviews come out on any further work from the hands of Virtuos. Is the Dark Souls game Card 8GB? When I saw the Download size I just assumed they’d squeezed it into a 4GB. @cucholix This concerns me with these ports, especially FFX. That game had great music for the most part and I’d be gutted if they compressed it too much. I’m not a full-on audiophile but sound is a big part of the experience/atmosphere. Mad props to you for your feat. Now all that's left, after Final Fantasy, is Kingdom Hearts. It's an easy win, come on! Articles like THIS are one of the reasons why I come here. Thanks NL, and bravo Virtuos! @electrolite77 yes it's on an 8GB cart. Well there you go. I’ve learnt something today. "...so we had to analyse and modify the data cooking pipeline and managed to fit the game on a 32GB card..."
Wait, so Square Enix is actually going to use a 32 GB cartridge for FFX/FFXII? If true, this would be the first time that a 32 GB cartridge is being used for a Switch game releasing in the west. @CurryPowderKeg79 "It's the Asian Version and you may want reread my post as I've edited it and added additional information"
I did also contact SQEnix but haven't heard back will try agian. I do know the Japan version does have both games on the same cartridge but for the Language still waiting to hear back. But if this is anything like Bayonetta Climax that version didn't list English but when I bought it and update it was English. So I did order the Japan and Play-Asia version. So now I got two and in a crunch to see. Good luck @SwitchForce i hope it works out for ya. @Dezzy the space taken by high quality audio is not as small as you may think, but that’s irrelevant, i just played X HD recently and I had forgotten how much pre-rendered cut-scenes are in the game, and those take a lot of room. "If true, this would be the first time that a 32 GB cartridge is being used for a Switch game releasing in the west." As far as I know, the Japanese/Asia version is all on a card. Other territories get X on a card and X-2 as a download. So, no, still no 32 GB card in the West. But I hear that the Japanese version has english options...so, you could import. Wonder if they fixed the RNG Issue that’s present in the PS4 version FFX. @carlos82 I'm glad someone else is seeing that. PS2 games running on Switch, I think I need to sit down! I didn't get the Mega Man collections due to not all being physical (half-half) so I got them on PS4 for physicality sake. I figured to do the same with this, especially since I have them physical on PS4, but SquareEnix knows I'm a sucker for this so I'm going with the option of both physical importing from play-asia. 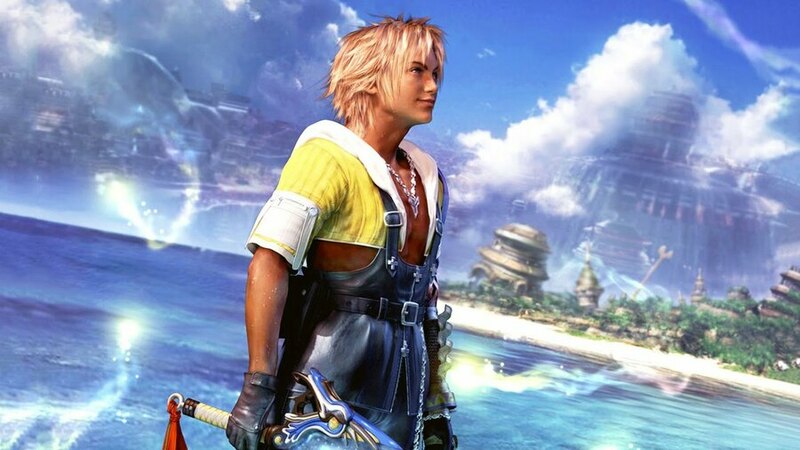 Having that option, I'll have Final Fantasy X/X-2 Remastered HD on PS4, Vita, now Switch. (And I usually don't double-dip.) Ugh my wallet! @Megal0maniac thanks, but I rarely read what fan media call "reviews" (especially since actual performance reports there often take a backseat to empty fanminded subjectivisms about the narrative, characters and other stuff people like to convince themselves they "don't need to be roosters for"). And while I have yet to play Dark Souls outside last autumn's beta, my personal experience with Virtuos ports has been quite positive so far. Be it hours into Starlink and L.A. Noire now or over 100 hours total between FFX dilogy on Vita before, I've yet to run into performance or audiovisual presentation issues that would impede my experience of the games in question. That was a nice interview guys, and really goes to show the effort that was put into getting even one of these games on a cart. Bravo. And, thanks to Square Enix eating into their profits for the Asian version and forking out for the mac daddy size, and including English, they've given everyone the option of both in 1, if desired. I'm buying digitally day one, and I'm importing the Asian version for posterity's sake. Dark Souls and StarLink look and play great. I prefer the look of both on Switch to something like Warframe that is trying to do too much with the hardware. As an aside, might double dip on XII but will likely pass on X and X-2. Wasn't a fan of X-2 and played the death out of X back on PS2. Still waiting to hear if we will ever see FFVIII again. Ports/remasters have always been around. Anyone own a beetles cd? Played Pac-Man on anything but an arcade cabinet? Watched Star Wars: a new hope on dvd? Well, I loved dark souls on ps3, beat it 5x before breaking my addiction. Thanks to devs like this, I’m an addict again. And so isn’t 2 of my kids. We are about to finish our 3rd playthrough together and my 8 year old is set on beating it all 7x. A good game/movie/music/ etc... is a good game/movie/music to be enjoyed by whoever does thanks to ports/remasters. I am happy switch is becoming a Nintendo 1st party/indie/3rdparty port machine. @Stuffgamer1 That's capitalism for you. All bow before the profit god. @Heavyarms55 The profit god says don't do dumb stuff that loses you sales. They are capitalisming badly. Kingdom Hearts Series and Arkham Series and Metal Gear Series please. This article just drives home how the Switch version is compromised. When the PS5 and Xbox Next come out, the games ported to Switch will be even more compromised. The 64/32GB comments are pretty contradictory. I wonder if 64 is supposed to be the total for both games. Also seeing this reminds me each of those games have had size issues of some sort. LA Noire and Starlink have their 'download required' even for carts. Dark Souls's compressed audio complaints; it also has broken controls on Western copies, and even the preorder gift was smaller than advertised. Something seems off. 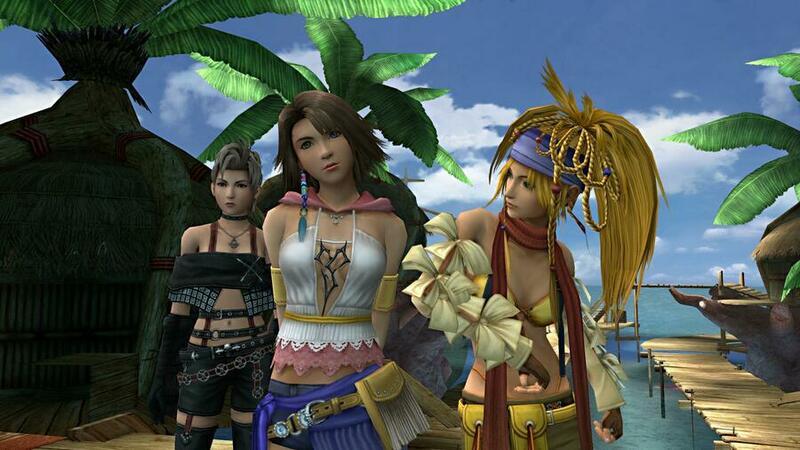 On PC, FFX + X-2 is around 37GB, whereas on PS4, it's 31.8GB. Not only has the size been under 32GB on a platform before (excluding Vita version because of the huge reduction in quality), but the Switch has technologies not present in the PS4 that certainly help in data size. One major thing to note is native playback of h265/HEVC content. PS4 can only handle h264/AVC natively. Being able to handle HEVC natively provides a reduction of half the size by comparison of AVC while keeping to roughly the same quality. That alone should have been able to reduce the size of the game by a lot. Not saying they could have been able to put both games onto a single 16GB card without compromises, but they make it sound like it was hard to get it under 32GB when the game had been under 32GB with equivalent quality years ago. @Crono1973 which switch gamers accept. We all know games on switch require comprises to be made. Just only one major thing is left to solve - make the FF VIII port. @CurryPowderKeg79 have to contact them again and get a straight answer. @Stuffgamer1 I also would prefer it if they just put it on the larger cart. Instead they'll be forcing players to get a micro SD card. I doubt that X-2 will fit on the Switch's internal storage. Now I really would want Xenoblade Chronicles on the Switch in HD and remastered ... That game is probably the best RPG ever to me. I know what you mean @SwitchForce i'v been contacting Customer services left and right. Right now i'm waiting on a answer on if the in game menus and text are also in English. Lemme guess, they managed to make it run on Switch by removing the audio? Maybe they recompressed it so that we got the good ol' retro tin can sound. Wait, don't tell me they "optimized" the game to skip every third frame? Oh wow, that and removing the audio would surely make this such a quality port. Maybe they should also only let us play it in monochrome mode. That'd be brilliant. Yes. @oji lots of people think it's not in this heap of FF releases because it's getting an full remaster for its birthday, which would be nice. ...so when are the first 6 coming too? Did.....did........did he just say "the 32GB card?"......!! !